Consider breaking one full-time position (or work product) down into several tasks or shifts and staffing each piece with a different worker. This option could work well when a company has trouble finding someone to work at certain times, such as the 3 p.m. to 11 p.m. weekday shift in a manufacturing plant, for example. Breaking that eight-hour shift into chunks (say, 3 p.m. to 11 p.m. on two days, and two shifts of 3 p.m. to 7 p.m. and 7 p.m. to 11 p.m. on the other three days) and letting different people work each slot could greatly increase the company’s ability to staff those times. More and more companies are embracing this workplace “Uberization,” in which employees (gig workers) grab the shifts or tasks that they want and decline the rest. Creative staffing involves finding new ways to connect with candidates. Mobile recruiting apps, for example, make it easier for job hunters to browse and apply for open positions. But virtual connections have their limitations, so take inspiration from mobile blood banks and bookmobiles and go where the people are: bring an RV full of mini-cubicles and computers to sporting events, large shopping centers, concerts, and other places where crowds gather. Another option is to set up stand-alone hiring kiosks in grocery stores and shopping malls. Both types of mobile recruiting stations let people apply for jobs and even complete some pre-employment testing all in one convenient location. Companies will always need workers, and people will always need jobs. Most of the time, those two interests align for mutual benefit. 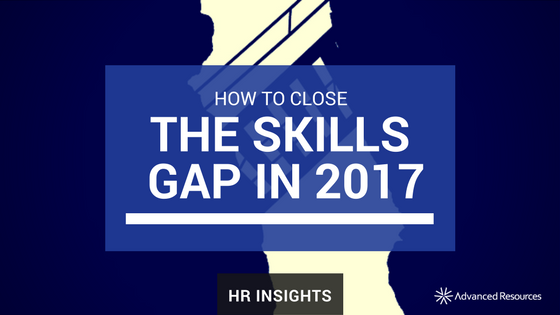 When there’s a skills gap, though, both sides struggle to meet. Fortunately, companies can bridge that gap— by thinking outside the box and exploring new strategies. Are you ready to build your team? Connect with an HR, technology, healthcare, finance, or office support staffing expert today.